Some people gave me some nice feedback about it and it was fun to put together. Recently a couple of hockey fathers suggested that I should do a follow up piece as we are getting close to a new season getting underway. So as the 2015-2016 season is upon us and we are all looking forward to the season, here are 20 more things that I now know for sure. Remember……this game is supposed to be fun….enjoy! Late August turns into late December very, very quickly. The only real constant in this game is change. I will keep my streak of 20 straight years of incorrectly picking the Stanley Cup winner….. Backup Goalies will continue to forget to fill the water bottles…..guaranteed. Some players are going to have amazing years….. Some players are going to sit back in amazement and wonder what went wrong. Hockey players will stay with billet families for the first time……. and they will remain friends the rest of their lives. College programs will commit to players too soon…. College programs will miss out on good players because they feel like they are too old……..
My wife will wonder why the hell I am going to a rink at 7am on a Sunday morning…..
An NHL coach will be fired by the end of November. There will be amazing parents in the stands every game supporting and encouraging their children. There will be complete jackass parents in the same stands disparaging refs, coaches and kids…….please encourage them to be more like #15s…..
Best friendships will develop……..some for life. Somewhere on the road I will break down and order Poutine……. 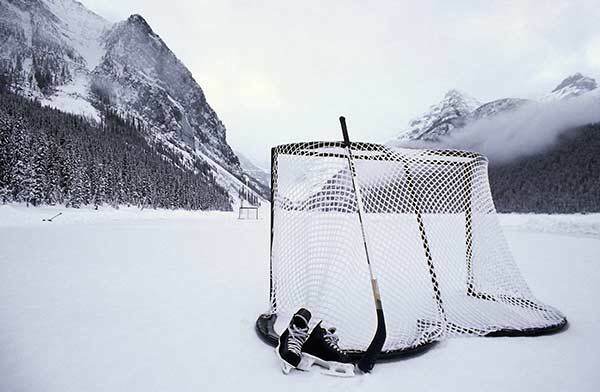 By season’s end I will again know for certain that Hockey is still the greatest game in the world. Best of luck everyone! Have a great season. Posted in Uncategorized on August 22, 2015 by thehockeysummitblog.